As owners, managers and administrators in the medical field you have to know your business in-and-out if you want to be successful, and one area of particular importance is communicating with your patients. This is true not only in regard to their medical conditions, but also in explaining and collecting payments on their bills. 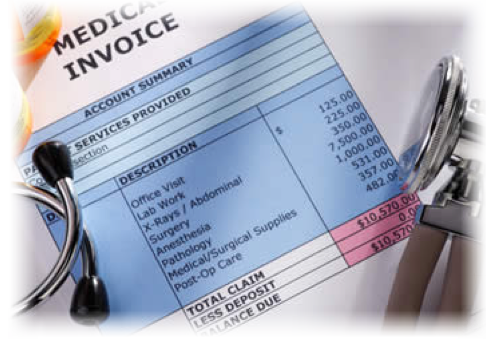 Medical billing communication is one very important aspect of Revenue cycle management. The wording, style and timing used may seriously affect how successful your collection attempts will be. Patients may not understand the fees listed on medical bills and so may be hesitant about paying the amounts due. Keep in mind that you are asking them to give you money, sometimes quite a bit of money, and they may want to understand why before they submit it to you. Here are some tips to aid in the communication process. Avoid medical industry jargon. Have a third-party look at a sample bill and ask them if they know what all the terms and words means. Make sure the person you ask is not in the medical field. Itemize everything. When patients see the charges and services provided, they will be more likely to grasp why your company or practice deserves the amount being charged. Tie amounts to the descriptions. The description of the service should be on the left and the price on the right. The column with the amounts due should be aligned to the right of the page and the description should be directly next to it. Use color-coding. It helps to add some simple highlights and colored sections to pull the patient’s attention to the areas you want them to notice. Explain to your patients that they will be receiving a bill before the claim is settled by their third party payor, whether Medicare or a commercial insurance carrier. Tell them about the process to ensure they know that they will get a bill from you, then an Explanation of Benefits (EOB) from the insurance company, and then a final bill from you. The first statement should include the amount submitted to the insurance company and the amount that the patient will likely need to pay. Too many offices fail to send an initial bill but it will help your patients avoid the confusion that is often caused when the EOB comes before the detailed, itemized bill. Communication is the most important factor to any successful patient accounts receivable system. Don’t be afraid or embarrassed to talk to them about an account that is outstanding. The more you communicate, the better your patients will understand exactly why they owe the amount due. And when they know the costs are all legitimate, they are much more likely to submit the payment.